Kia has always provided incredible value in each and every one of its vehicles, but that proves even truer in the 2017 Kia Optima. 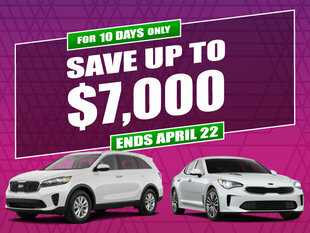 Offering a ton of standard features as well as all of the safety and connectivity technology you could ever want, the 2017 Optima is a car that gives you a lot more than what you pay for. For instance, the 2017 Kia Optima can be equipped with a heated steering wheel, dual-zone climate controls, and a wide range of active safety systems. 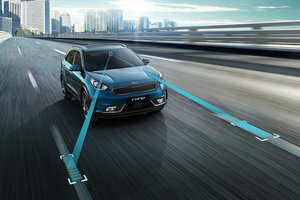 Automatic braking and adaptive cruise control, a 360-degree camera, Apple CarPlay and Android Auto, and even wireless charging for your handheld device are all available. These are just a few examples of the standard and optional features that come with the 2017 Kia Optima. With a turbocharged engine available as an option, the 2017 Kia Optima is not only efficient and refined, it is also incredibly powerful. Offering up to 245 horsepower and 260 lb-ft of torque. 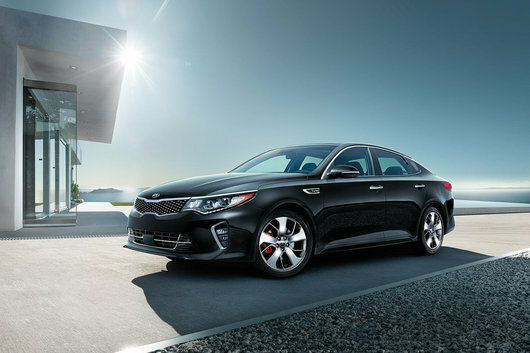 The Optima's all-aluminum 2.0-liter four-cylinder engine stands out in its segment thanks to its power, but also because of its impressive torque that pushes you off the line in a hurry. That said, many buyers will be happy with the entry-level 2.4-liter four-cylinder engine that delivers 185 horsepower and 178 pound-feet of torque. When it comes to fuel consumption, the 2017 Kia Optima is just as impressive. With an average fuel economy rating of only 9.3 L/100 km in the city and 6.6 L/100 km on the highway, the new Optima doesn’t make you pay too high a price for remarkable performance. Buyers who really want to save on fuel will love the 2017 Kia Optima Hybrid. Well-equipped from $29,995, the Optima Hybrid uses a 2.0-liter four-cylinder engine that, coupled with a 38-kW electric motor, delivers remarkable fuel economy of 6.0 L/100 km in the city and 5.1 L/100 km on the road. What could be better? The Kia Optima hybrid is as powerful (192 horsepower) as it is fun to drive. To learn more about the 2017 Kia Optima, contact us today at Southland Kia.